“Those who cannot remember the past are doomed to repeat it” - George Santayana, The Life of Reason (1905). Among academic subjects, history is often treated as a triviality. At the K-12 level, the field of social studies is subject to the fewest high-stakes testing. In higher education, those pursuing degrees in the Humanities are often mocked as inevitable members of the “boomerang generation” who will return from college to their childhood bedrooms. Nationwide, resources are heavily skewed toward STEM, or fields in Science, Technology, Engineering, and Math. But perhaps our disdain for history has allowed many of our national leaders to forget the dangers of past ignorance and hubris. The past of which I speak is the late 1920s, under Republican President Herbert Hoover. This era of laissez-faire economics saw the development of a perfect storm of instabilities: Few government regulations in banking and investing, no comprehensive social safety nets, and little use of fiscal policy. When the big crash hit in October 1929, the devastation quickly spread from Wall Street to main street. Hoover’s administration was unprepared for the crisis and expected that local governments and charities could handle the growing wave of unemployment. Not until his successor, Democratic President Franklin D. Roosevelt, enacted the New Deal reforms in 1933 did the worst of the Great Depression begin to ease. Today’s federal government is tremendously influenced by FDR and the New Deal, which changed governance from reactive to proactive. Until the Great Depression, the federal government was largely seen as an institution that should react to crises: Wars, interstate commerce, and problems that spread from state to state. After the Great Depression and World War II, the success of fiscal policy in boosting aggregate demand established a new role for the federal government: Maintaining economic stimulation through both aid and strategic investment. During the 1950s and 1960s, this proactive governance continued. The federal government invested heavily in the GI Bill, GI loans, the interstate highway system, Medicare, Medicaid, and public education. America’s economic boom continued. But, in the 1970s, the political landscape changed. The liberal-conservative consensus that had existed from 1933 until the late 1960s morphed into the conservative resurgence. Republicans, especially in the 1980s under President Ronald Reagan, cut spending on social programs and boosted military spending. Coupled with tax cuts, the boost in defense spending did increase GDP, but at the expense of a rapidly-growing national debt. Hidden underneath the growing GDP was the fact that real wages for most American workers were stagnant. The conservative resurgence was an economic boon to the wealthy, who benefitted directly from tax cuts, but pinched everyone else’s wallets. It was almost as if most policymakers forgot that the era of liberal spending, and not Reagan’s famous “trickle-down economics,” was the rising tide that had lifted all boats. From the 1930s to the 1960s, real wages grew consistently. Since the 1970s, real wages have fallen. But, since the rich continually grew richer, it was easy for them to forget what had caused the prosperity they now managed. Starting in the 1980s, deregulation of the financial sector was intended to free up opportunities for bankers and investors to make more profits. Continued deregulation, and increasing mergers among financial institutions stripped away the safeguards that had been put in place under Franklin D. Roosevelt to prevent future market crashes that might spark devastating recession. In 2008, the Great Recession struck after just such a market collapse. Though not nearly as bad as the Great Depression, the Great Recession saw unemployment hit a painful 10 percent in June 2009. Massive fiscal stimulus was required to avert disaster, and many good jobs were permanently lost. The post-recession recovery has brought back the number of jobs lost, but not the quality: Many full-time jobs with benefits in 2007 came back as part-time jobs with no benefits in 2016. Amazingly, despite the agony of the Great Recession, many conservatives still want to deregulate, cut social programs, and strip out the remaining safeguards that help keep citizens out of poverty. They have forgotten that almost all of the economic gains made from 1933 to the mid-1970s were because of liberal fiscal policies, strong social programs, and strategic investments in government research and public education. As soon as we started cutting those programs and removing regulations on industries, the economy got worse for the vast majority of Americans. The facts are out there, and clear as crystal. Tragically, few people want to do the research- including President Donald Trump. 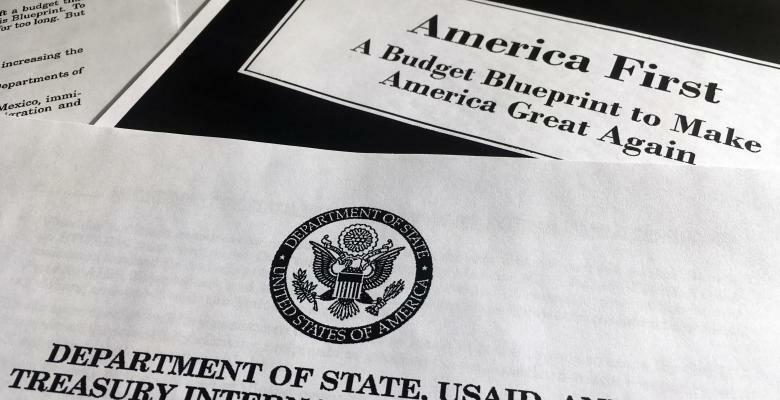 Trump’s budget proposal for the next fiscal year calls for outrageous cuts to many vital social programs and areas of strategic government investment. From Meals on Wheels to medical research, virtually all non-veteran civilian programs that rely on federal dollars are in jeopardy. In order to compensate for a whopping $54 billion in additional military spending, Trump has proposed record-breaking cuts to civilian agencies. It’s the biggest decrease in federal civilian spending since the immediate aftermath of World War II. Perhaps Trump and his cronies have been rich for so long that they forgot what stimulated the post-Depression economic boom that made their wealth possible in the first place. The civilian programs that seem arbitrary to Trump are strategic investments in growth. Dollars spent on education substantially boost GDP, and government research projects can lead to huge advancements in productivity. Social programs, such as food stamps that conservatives often mock as wasteful have actually been found to stimulate the economy. Ironically, the wealth of ultra-conservatives who want to gut social programs and federal civilian spending comes, either directly or indirectly, from such spending. Budget cuts envisioned by Donald Trump would return the United States to where we were in 1928: A reactive federal government largely confined to military affairs. Will somebody kindly give the president a book about the Great Depression?